Our organization is, by design, dependent upon a large number of volunteers. In fact, except for a few of our staff in East Africa who run our projects, everyone else (including the executive director!) is a volunteer. Our projects cannot be carried out without the services of our dedicated volunteers. Maybe you want to join us in our mission to enhance the quality of life for children in East Africa. For some volunteers, the work of Humanity for Children becomes a huge part in their life – it is their way to make a big difference in this world. For others, helping out occasionally or on special projects is all that they are able to do. We need both kinds of volunteers, whether you want to spend many hours each week or just a few hours now and then. Volunteering in a different country can be an exciting and rewarding experience. It can change your view of people and the world and, sometimes, even your life course. However, it can also be challenging – new languages, new customs, new food, new diseases, new money, etc. But if you are flexible and well informed, these things can be anticipated, incorporated, and even make your time more memorable. In fact, these are the reason many people choose to volunteer in the first place. Although we cannot anticipate every situation or need, below is some information to answer the many questions you may have about volunteering with Humanity for Children. We screen all potential volunteers before approving them to visit one of our sites. This process usually takes anywhere from one to two months, so plan accordingly. To obtain an application, please visit our contact page or email info@humanityforchildren.org . After reviewing your application, we will contact you with further questions and determine if there is a position available; if you are chosen to volunteer at one of our sites, then we will help you through all of the logistics prior to you departure. Some of the information requested of people thinking about volunteering is outlined above. Please review this information before submitting your application, so that you understand what volunteering at one of our sites entails. We rely on both small and large fundraising initiatives. Maybe you can organize an event at your local school, on your college campus, with your church, or maybe for your entire community. Every dollar counts! 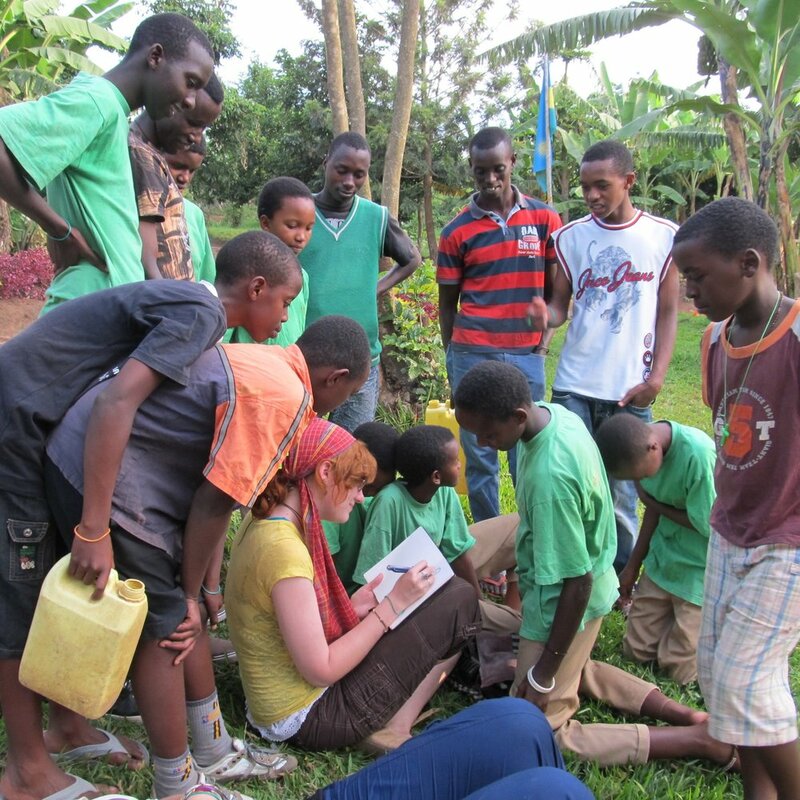 The Bright Light Campaign is a program in collaboration with Gashanda and Gahurire Primary Schools in rural Rwanda. The campaign will distribute solar lamps to sixth graders in these schools and build libraries to promote reading and learning to better prepare students for secondary school. Studying at night is a luxury for students living in rural areas without electricity. Their other options for light at night are candles and kerosene lamps which are often too costly and emit harmful fumes. The Bright Light Campaign provides solar lamps to students in the primary sixth grade level to enable them to study at night and help them to prepare for the national exams that determine their acceptance to secondary school. We are committed to provide 100 solar lamps annually for each school. With a 5-year commitment to the campaign, we will have enough time to study the effects that the lights have on study time, the number of books read, and admission rates of those seeking secondary education. The cost of each lamp is $11. Westminster College student Sandra Nivyabandi, who is from Burundi and Rwanda, demonstrates using one of the solar lamps to be sent to primary students in Rwanda. Getting the word out about our organization and its mission is critical, so we need people who can help with newsletters, brochures, flyers, and other forms of publicity. Maybe you can help us get articles into your local newspaper or perhaps you can staff a HFC booth at a community event. You can download the following files to help you spread the word about Humanity for Children and our ongoing projects. Our partnerships between schools and churches in the U.S. with schools and churches in East Africa provide opportunities for these communities to build new relationships, gain knowledge and engage in cultural exchange. We are constantly looking for new schools and churches to join partnerships. If you would like to partner your school or church with a school or church in East Africa, please contact us.